This weekend, the men’s soccer team looks to continue their fantastic season with two matches at home against UAA opponents, No. 20 Carnegie Mellon and Case Western. UChicago is currently 11–1 and ranked No. 4 in the country, with their only loss coming last weekend. The Maroons absorbed a heartbreaking 3–0 loss against Emory last Saturday, their first regular season loss in 29 games. While they outshot Emory 13–7 and had more corner kicks 5–1, they simply could not put the ball past the Eagles’ goalkeeper. For the first time since November 5, 2016, the Maroons were held scoreless. Fourth-year captain Stacey Reimann believes, however, that this loss was the catalyst the team needed to rekindle their fire and focus. “As a senior, the loss definitely hit home for me. Knowing that I will never have the chance to rematch Emory is a hard feeling, and one I don’t want to feel again with any other team, especially our conference rivals. Now, a few days removed from the game, Saturday’s loss was definitely a positive for our team,” Reimann said. Outside of that singular tough loss, Chicago has been a force to be reckoned with on the pitch. They were a perfect 11–0 and ranked first in the country beforehand. In their only other two matches against ranked opponents (No. 22 Carthage College and No. 19 Loras College), the Maroons beat both teams handily: 3–1 and 3–0, respectively. Chicago’s success has been boosted by some fantastic individual performances throughout the season. Third-year Max Lopez leads the team in goals at 13, seven of those being game-winning, and is tied for assists with second-year Dayo Adeosun at seven. Lopez has also been selected as a UAA Athlete of the Week an impressive three times this season. 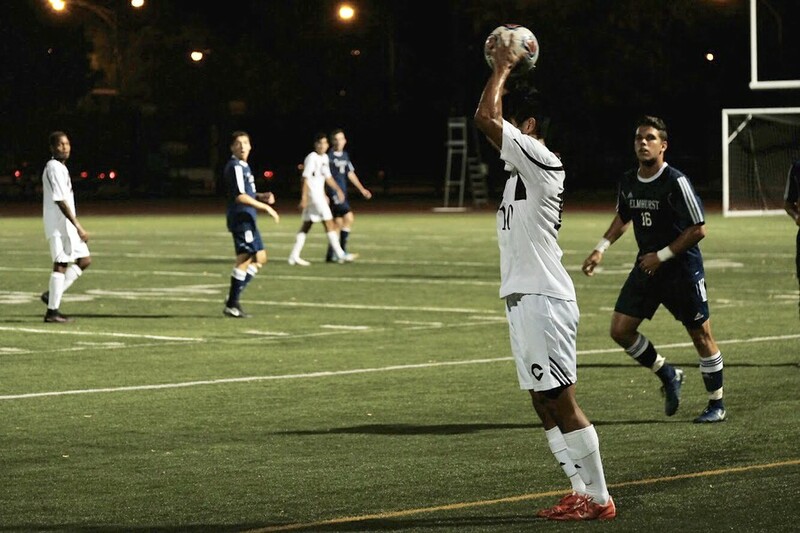 Third-year Matthew Koh also received the award due to his performance against the University of Rochester, in which he scored two goals and one assist all in the first 18 minutes. Looking ahead to this weekend, Reimann plans on using his senior leadership to inspire the team. “This sense of urgency and finality definitely starts to creep in during your senior season. My identity my whole life has revolved around me being a soccer player, and I feel very motivated to embrace that in its fullest this season. That starts with being a leader, and hoping to have the younger guys on the team play with a similar mindset. The more guys we can get on the pitch bought into playing their absolute hardest every game, the closer we will be to being a national championship team. I really feel like a new season has started this week, and am eager to see how we respond this weekend,” Reimann said. The Maroons take on Carnegie Mellon at 5:30 p.m. on Friday, October 13, and Case Western at 11 a.m. on Sunday, October 15.